The World Series started this week and there is a lot of talk about who has home field advantage. There is a distinct advantage to playing at home. In fact, the benefit of winning the annual major league baseball All Star game is that your league gets home field advantage. There are 7 games, so one team gets 4 at home and the other team gets 3. This advantage has always been important, but it is more critical then ever to developing and growing generosity in the post 2008 era. The effect of the economic meltdown of late 2008 has been to reframe the rules for raising ministry support. Donors are still willing to give, but they are vetting the choices they have for their charitable giving more than ever. Because of the home field advantage, the church has a distinct opportunity to stand out. The question for church leaders is, what do I do with that advantage? Six things come to mind as important. Build trust: All charitable funding is given in an atmosphere of trust. Leverage the weekend worship experience by building trust in all you do. Cast (and re-cast) vision: People have to be constantly reminded of the vision of ministry of the church. There are three types of reminders — blast (fire hose), soak (garden hose), drip (soaker hose). There is an appropriate time for each. Use the blast sparingly and follow with soak and drip to make sure your people absorb it. Shape culture: You can have great vision, but bad culture will cause problems in implementing it. Culture is never neutral — it is either for you or against you. Make sure you are always shaping culture so it is working for you. Demonstrate impact: More than ever before, in the post 2008 money environment, givers are vetting the choices for their charitable dollars. Impact is like “ROI” — where givers see it, they direct their charitable giving. You have the stories of impact, but they are probably hidden in the numbers. Make sure you pull back the numbers and tell the stories of impact. Enhance relationships: After trust, relationship is one of the most important factors in a giving decision. Build relationships while people are on site at your church. Make sure there are ample “met and greet” type spaces throughout your facility or campus. Highlight good stewardship: Churches that practice good stewardship with the money that is given them earn the respect of givers. Let your people know about key decisions you make to be more effieient in the use of the funds entrusted to your church. Check yourself against this list. Which of these things are you doing? And not doing? Don’t ignore the home field advantage. Let it work for you in the post 2008 era of developing and growing support for your church. We spend a lot of time worrying about stuff we have no control over. The economy is a GREAT example. Too many waste too much time in worry and fear about the future and the future of their money. For those of us who are Christ-followers, there is no precedent for this way of living. When Jesus says “Mammon,” he is talking about money in the strongest possible terms–the false god of riches. When riches become an object of worship and greedy pursuit, mammon becomes a deity, meaning it has the power to be a god. In other words, it has the power to become another altar where we might worship. Nowhere else in Scripture does Jesus describe anything on earth using deistic terminology. He knew money would be a serious problem for us, so he prescribes the solution: “Stop worrying, I will take care of you.” In reality, it works in reverse. I have to get to the teaching behind the “therefore” before I find the source of the strength to stop worrying. I have to stop trying to worship at two altars. I need to get myself up from that other altar and worship at the one true altar. It’s easy to understand but very hard to do. As church leaders, we must remember that the people in the pew are very perceptive. We can’t fool them. They will follow what we do closer than what we say. We can’t expect our people to live beyond the example the church leadership is setting for them. Is our leadership posture about money perpetuating fear and worry or is it projecting bold confidence in the providence of God? As we head to Exponential 2010 this week, I asked Brad Leeper of our GENERIS team to help me take on 6 key questions for church planters as they look to fund their new church plant. Here is our dialogue. 1. How much money could we possibly need to simply launch a church? Brad: Depends upon how much leadership want to align the launch with the mission. Financial resources must align with the vision in the context of the community. Otherwise, you as a leader are creating a very steep climb for yourself to most likely not break the 200 barrier. Jim: Launching a church is more expensive than you think. Raising the initial funding entails a lot more than just the initial gatherings. There are salaries to pay and expenses for weekly services. Many church plants grow quickly and the growth puts a lot of pressure on the church to keep up. It is best to have an upfront strategy that raises not only the launch funding, but also some measure of support over the first 1-2 years. 2. Are there outside sources besides friends and family to support my church plant? Jim: Yes. Many church planters find financial support from people other than friends and family. You have to be intentional about finding these people. They probably won’t just land in your lap. Brad: Financial resources are available from many surprising sources. It is important to tell your story in a compelling way to these different kinds of potential financial partners so that they are inclined to give to their greatest capacity. You can raise significant financial resources from more than just your friends. You will need to do so if want to abundantly fund your new church. Or even more practically, if you want some level of income while you work to build the church plant. Having a conversation with a close friend for a $100 investment is much different from the conversation with the person who could invest thousands. Learn how to have those different conversations that will catapult your new church to abundant funding. 3. Don’t we just send out letters to our friends? Brad: This practice is the default standard and what most will do without a formal connection to a church. The letter strategy will work because people love you. The letter strategy tends to be minimally effective in the results based on a realistic budget of what it takes to launch a new church. You can learn the number of options for developing financial resources from a number of sources. Jim: That is one part of a funding strategy, but not the only part. The most strategic gifts will likely come from a relatively few persons with above average capacity. You will need to cultivate the relationships and make the ask in person. 4. Will we have the money we need when we need it? Many church planters spend a lot of time worrying about this very question. It is a natural part of our human nature. There is a God-inspired shaping and pruning that takes place as the church plant is launched. The reality is that most church planters have the money they need when they need it, even if it was not the same amount they were originally thinking. Brad: Most new churches start with some funds, but can run out quickly. The lack of adequate can be the largest obstacle to launching the new church with passion, excellence, and effectiveness. Many effective church plants can plan for and have adequate cash flow for the length of time to plan and to launch the church. Perhaps the biggest winner in this process? Your spouse. Often, it is the spouse who bears the brunt of inadequate funding creating emotional turmoil and long term baggage from the launch season. The leader is out having all the fun in leadership while the spouse is left with minimal funding to handle the household. Is the lack of funding worth the unnecessary wear on the marriage? 5. Can’t I as the Senior Leader delegate the fund raising role to someone else? Brad: The senior leader sets the tone for the generosity culture of the church from the very beginning of this process. Understanding your leadership in generosity will make a huge difference in the quality of the new church plant process and will free you emotionally to invest in the actual execution of the ministry plan. You can delegate the expression of the church core value of generosity. You cannot delegate the passion and align of financial resources and the new church. If it is not a high priority to the Senior Leader, it will probably not be a high priority to everyone else. The launch team and key supporters have to know the Senior Leader is on board with his support. The initial funding effort will set the tone for the generosity culture in the church. Rarely does a leader have a second chance to shape this culture so it is important to get it right on the front end. 6. How do I ask people to give to my church plant when they already give to another church? Jim: From the start, the church planter has to be prepared for the reality that not everyone will say yes. It may take a number of asks to get one supporter. The role of the Senior Leader in the church plant is to find enough opportunities to make the ask. Do not worry about the response, just make the ask. Brad: Raising financial resources is so much more and more fun than asking for funding. It is a rare privilege when you as a new church leader can align a donor’s vision and passion with the mission and vision of the new church. There is more money available for new churches than you can imagine. Learning how to align those funds with the new church vision will make a huge difference in the long-term health and vibrancy of the new church. Today, I am in San Antonio where I will be speaking to a group of large church pastors in the United Methodist Church. It is an annual gathering called Large Church Initiative 2010 (LCI 2010). Among others, Will Mancini spoke on Tuesday and Reggie McNeal was here on Wednesday. Chances are , they are still recovering from Reggie’s message this morning. If you have ever heard Reggie speak, you know what I am talking about! He challenged pretty much all their assumptions about church in the USA. Nancy Ortberg will wrap up the conference this afternoon. My words to this group will focus on generosity from the perspective of getting past the (mainly) self-imposed limitations we have placed on our churches. A key point I will make is that, when it comes to funding, we have a tendency to let “just enough be good enough” and, in doing so, we place a limit on the financial generosity of the people of our churches. My speaking notes are attached below. I’d welcome your comments. Money does not change us. Not really. It only makes us more of what we already are. We think having more money will change us, but it is a rare occurrence. The greedy person only becomes more greedy. The generous person becomes more generous. 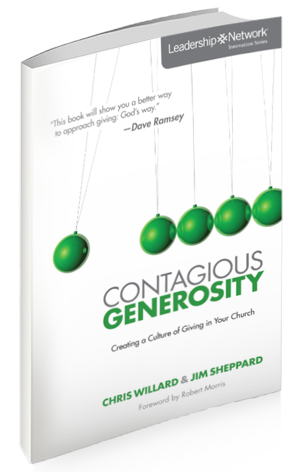 What if you could punch the “increase giving” button in your church and watch generosity happen. That would be nice, wouldn’t it, but it doesn’t work that way. The reality is that generosity is systemic. Everything affects it. Generosity to a church is the result of a number of factors. In a previous post, I indicated that the economy might be a factor in giving, but generally it is not the key factor. The economy does tend to expose those churches that are not healthy. Good times and increased giving obscured underlying issues for a lot of churches. Internal factors are a lot more important to the long term giving health of a church than are external factors like the economy. In other words, there is greater risk from factors inside your church. Churches with that are unhealthy on the inside are vulnerable. Healthy churches generally are not as exposed. In other words, they do well in good times and bad. They have learned that there are ways to “recession proof” your church. What does that look like? I do not pretend to be an expert on church health. The folks at TAG Consulting are very good at assessing that. Their “Transforming Church Index” is excellent — like an MRI on the church. But a few things are critical. Many would say vision is at the top of the list. I agree it is hard to attract generous givers without vision of ministry. However, there are a couple of things that are important and have to be considered. The first one is clarity. It would be difficult to overemphasize the importance of clarity. You can have a vision of ministry for the church, but is it clear enough for people to understand it and own it? In other words, can you state the mission and vision of your church in an “elevator pitch” (not an elevator in an eighty story building!)? If, as a church leader, you want your people to truly own the vision of ministry you believe God has placed before you, it must be clear and concise. It is fine to have a longer version for strategy and execution purposes, but keep that in your office. The main version your people see has to be easy to remember. In laying out the vision of ministry for you church, you also have to make sure it is original and authentic. I see a lot of church leaders who go to a great conference and see a presentation on that church’s vision, then try to make it theirs. In other words, they change a few words and proclaim “this is our new vision.” Wrong. That is merely photocopying what someone else has done. 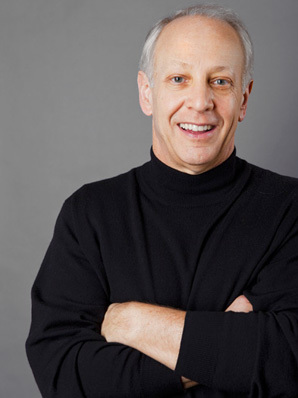 What may work well for Andy Stanley or Bill Hybels or Rick Warren (or any other church leader) in their church will probably not work in yours. There are too many differences. If you have not read “Church Unique” by Will Mancini, get it. He spends a lot of time talking about this topic. The second thing is this — culture. As important as vision is, culture is even more important. Why do I say this? You can have the greatest vision on earth, but, quoting Sam Chand, “it will die in a toxic culture.” Bad culture trumps good vision every time. Culture, according to dictionary.com is defined as “the behaviors and beliefs characteristic of a particular group.” The culture in a church does not happen overnight. It is an accumulation over the years. Some pastors inherit it when they go a to new pastorate. Other pastors see it get shaped around them. Others, like church planters, get to create it from day one. That’s why it is so important if you are a church planter to pay close attention to the culture of your church in the early years. No matter which category you fall into, culture will play a significant role in what you can accomplish. What kind of culture do you have? Clearly vision is important. If vision is king, culture is the ace that beats it! You will never advance your vision beyond what the culture will permit and the result will be that the potential for generosity will be restricted. Remember – generosity is systemic. Everything matters. The research is pretty clear. Some churches are up, some down and some about the same. Generally, the economy is not the main issue. Sure, there are some areas that have been severely impacted by the effects of the economy the last 16-18 months. However, even in a city as hard hit as Detroit, I am aware of a couple of major churches that have fared well. One of them told me they are down 3% in offerings while down 8% in attendance. If my simple math is correct, that would probably be a net increase in giving on the smaller number of people. Nothing is wrong at the church, people are just leaving Detroit because they think they have a better chance starting over somewhere else. During the time when the economy was good and offerings were increasing in many churches, the often ignored statistic is that offerings were not increasing on a per giver basis. Yes, they were increasing in aggregate, but not increasing when measure based on the larger number of people. In other words, lots of churches grew their operating budgets just by growing the number of people. There is nothing at all wrong with that, but we need to be aware of it. If the economy is not the main issue for most churches, what is? There are two sides to the church giving equation. One is the givers — when their hearts are afire for what the church is doing and how it is doing it, generosity is the normal response. The other side is the church — it must keep the vision fresh and present itself as healthy to attract givers. The church must be able to demonstrate that a gift here really counts in terms of its impact. The main issue, for many churches, therefore, is how to do this. The reality is that givers have many choices for their funding. It is not unusual for me to hear a church leader lament that a certain person in their church gave a large sum to a charity, often an alma mater. When gifts like this occur, it is now clear that the person has the ability and willingness to make a gift like that. Gifts to one’s alma mater are noble, but why did the person not think of the church? What is this place? Simply put, it is the place where the vision and mission of a church intersects the passion of a giver’s heart. Find this place and the result is always generosity. It is the place where givers will release resources again and again as long as the church remains faithful in stewarding the gifts. This intersection is the place where generosity flows! Said another way, if you cannot find this intersection, it is generally fruitless to think the giver will participate significantly. It’s just not a fit. Givers want impact. It is the responsibility of the church to do that. You cannot just expect givers to keep filling the annual budget bucket. You have to make the case that a gift here is a worthy investment. If you can’t show it, another charitable cause can! Impact =”ROI” and givers pay attention to that. Can you show how a gift to your church will impact the life of a hurting, hopeless, helpless person? If you cannot, it might be worth taking a hard look at what you’re doing. It’s official. As of today, I am no longer talking about the effect of the economy on church giving. There is enough research and plenty of articles, but I have had enough. Some churches are up (yes, that is right – some churches have giving that is up), some are down and some are flat. We know that. We have spent enough time talking about the economy and how it has affected churches. Now we need to start talking about solutions. With the exception of the people who have been totally flattened by the economy since fall 2008, the problem for the church is not the amount of money in its members’ bank accounts. By any measure, America is still one of the wealthiest nations on the planet. The problem is not how much money we have, it is what we have chosen to do with it. Our money goes to one of three main categories: giving, saving or living. Wise counsel is to give first, save second and live on the remainder. In America, we have been conditioned to practice it in reverse: we live first, then save and give. The problem with that is, if you are living on 100% or more, there is nothing left for the giving or saving categories. The main enemy for many of us is lifestyle. To the extent we can live under some form of restraint, we are freed to give more and save more. Though the case could be made that it is simply a matter of discipline, I submit that it is deeper than that. It is about our hearts. Our hearts are more consumed with “what would make me happy” (yep, it happens to me and I spend my whole life trying to help people understand generosity). As a result, we forget our greater responsibility to manage what God has put under our care. In essence, our hearts become lukewarm to what God wants to do through us. When our hearts are on fire and we are convicted about something, we find a way to get it done. For almost all of us, we can give more if we really want to. Stay tuned. I’ll continue the conversation. P. S. Appropriate credit must be given to Don Linscott, who planted the original idea of lifestyle stewardship with me.